ADVANTAGE AUSTRIA is Austria’s official trade promotion organization. With its more than 110 offices in over 70 countries, it provides a broad range of intelligence and business development services for both Austrian companies and their international business partners. In Romania, Advantage Austria is present in Bucharest, as well as in Cluj-Napoca. Goals: It works to generate more international business opportunities by promoting the products and services of Austrian businesses around the world, by helping companies and organizations outside Austria to build strong relationships with Austrian companies and by promoting Austria as a place to invest in. The Belgian-Romanian Business Association “BEROBA” proudly announces the change of the association’s status to Bilateral Chamber of Commerce. This happening takes place nearly four years after it’s founding, marking the beginning of a new phase in BEROBA’s evolution and the commercial relations between Belgium and Romania. Established in 2013 at the initiative of the Belgian Embassy in Bucharest and of Belgian investors in Romania, BEROBA has developed over time as a stand-alone organization. Until today the association has registered 85 members, mostly Belgian companies & business people or local and foreign entities having interests with the Belgian business community. This recognition is the perfect time to thank all members and relationships having supported BEROBA since its foundation. But equally to reach out to other communities and new faces with whom we are happy to share our values and announce new developments. Our new status incites us to upgrade our mission and the quality of our efforts and initiatives to sustain even better our members’ interests. • Offering tailor made assistance to our individual members eager to develop business activities in Romania or Belgium. • Our yearly top event, the Belgian Week, taking place in Bucharest and other major cities, has proven its value, assembling workshops, social initiatives and business seminars, along with culinary traditions and authentic hallmarks of Belgian lifestyle. By stressing its bilateral character, a new dimension will sustain further success and expansion. • New activities are being investigated, based on input from members and other stakeholders who participate actively in the Belgian-Romanian business life. • A new website will be developed, containing continuous updates about BEROBA’s activities and events, equally serving as an instrument to spread members’ news and requests. One of our major jobs is to provide individual assistance to our members in need of information or practical guidance through their entrepreneurial initiatives. The near future will give birth to a set of services such as e.g. temporary workspace, accountancy and VAT-recovery, auditing, EU-funding issues, etc.… all this in cooperation with qualified partners of BEROBA. More info to follow. A lot done, more to do! These ambitions need for sure some refreshing branding, radiating the renewed corporate identity of our Chamber. So stay alert and get ready for our new look to be announced before the end of 2017! Meanwhile, join us for the launch of the official recognition of BEROBA as bilateral Chamber of Commerce on Sept 12th at 19.00 in the Belgian Embassy. A personal invitation will be forwarded to you. The British Romanian Chamber of Commerce is the premier business-led organization promoting bilateral trade and investment between the United Kingdom and Romania. Our mission is to facilitate and increase the trade between those two countries through business-to-business dialogue. The British Romanian Chamber of Commerce works closely with The Embassy of the United Kingdom of Great Britain and Northern Ireland in Romania. Cluj Chamber of Commerce and Industry (Camera de Comerţ şi Industrie Cluj – CCICJ) is an autonomous, non-governmental, apolitical organization representing the interests of its members companies. – Provide high standard professional services to our members. – Represent and promote the interests of the local business community to authorities and government bodies in Romania and abroad. – Promote regional economic development together with other local, national and international institutions. – Promotion – fairs and exhibitions organized at “Expo-Transilvania”. – Professional and vocational training. 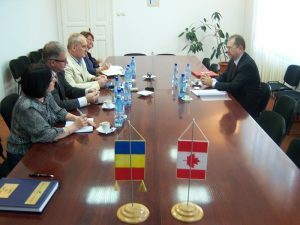 The Romanian-Swedish Chamber of Commerce and Industry Regio aims to promote Romanian companies in Sweden and Swedish investors in Romania and developing social projects. 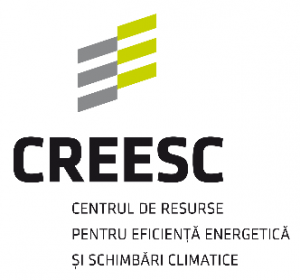 The Centre for Resources in Energy Efficiency and Climate Change (CREESC) is an association of companies specialised in the concept development, design and integrated implementation of engineering solutions and financing schemes for green energy sectors, urban development and environmental consulting. The member companies have several decades of experience on the Romanian and international market and 3 years of intense integrated cooperation through CREESC. Hungarian enterprises offer high quality products and services in several industries offering excellent value for money that are competitive globally as well. The aim of the Hungarian National Trading House (MNKH) Cls. is to support enterprises that are capable of exporting in finding adequate business partners in the international markets. Furthermore, they provide state guarantee to their partners in order to facilitate smooth trade activities that are mutually beneficial for both parties. Recently, we expanded our commercial presence to almost 40 countries of four continents. Our strategic objective includes the opening of further trading houses in the Carpathian Basin and expansion within the framework of the policy entitled Opening to the South in the South American region as well. According to official reports, Cluj is the only metropolitan area in Romania that had a population growth in the 2002-2012 decade and that trend is being maintained, in spite of the general population decrease of Romania. The governance structures and organizational arrangements define the rules for business. The Association, together with the local public administrations have set clear and transparent rules (i.e., a good governance system) for doing business in Cluj Metropolitan Area (CMA), having a pro-business attitude. CMA has a key feature – its potential for innovation and scientific development. Every year, tens of thousands of young people move to Cluj-Napoca to study in the vocational schools, colleges or in the 11 universities in the city, accessing a wide range of educational and training opportunities. Highly qualified researchers are part of the top research and development university centres. The city and the metropolitan area continue to act like a magnet, attracting highly skilled workforce, businesses and institutions. The foundation of the business sector is represented by the small and medium sized enterprises, the city offering excellent conditions for launching start-ups and developing existing businesses. The innovation appetite is reflected in the wide range of economic sectors present in the region. Larger businesses are accommodated in the metropolitan area, public and private companies operate industrial parks, providing the necessary infrastructure for developing the needed facilities. An important point on the agenda of the Metropolitan Association is represented by its’ interest to increase the quality of life and opportunities for underprivileged groups as a means of ensuring social cohesion. The CMA will continue to develop the qualities of the city and rural areas, to offer the best quality of life in Romania. The Employers Association, League of Romanian Entrepreneurs, private legal person, independent, apolitical, non-governmental, non-profit, professional and managerial, pursues the realization of activities of local and national interest in the private sector. L.R.E. is a frame for dialogue, that establishes collaboration ties with local authorities, employers and state institutions in order to debate and solve the economic problems of SME’s, by supporting a healthy and powerful economic climate that offers the possibility of enlarging the entrepreneurial and personal horizons through actions and opportunities offered within the L.R.E. Founded in 2006, the NRCC is a non-profit organization that supports and promotes the Dutch-Romanian business community, while representing The Netherlands, the biggest source of foreign direct investment in Romania since many years now. Our successful activity in helping the development of bilateral trade between the two countries was recognized in 2016, when NRCC received Excellence Award in the “International Affairs and International Economic Relations” section, at the “Nine O’ Clock 25 Years Awards Gala”. The dedicated monthly and annual events, the industry-driven Task Forces, our active membership in “Coalitia pentru Dezvoltarea Romaniei” and the close contact with the Embassy of The Netherlands in Romania are the foundation of our activity. NRCC network now includes 180+ members, representing 20+ industries. We develop activities in cities like Bucharest, Cluj, Constanta and Brasov, as well as in the Netherlands. More details about our activity and membership benefits are available here. The Business Women Association (AFA) Cluj was founded in 2004 on the initiative of Mrs. Mihaela Rus, General Manager of Vitrina Advertising Agency. It immediately became a member with the Business Women Associations’ Coalition (CAFA). The Association is created by women who either own their private business, hold managing positions with different companies or work as doctors, teachers, psychologists, attorneys and other liberal professions. The ladies in AFA Cluj are strong women who hold self respect at high value; their careers and businesses are powerful models in the community. AFA Cluj is a non-governmental, apolitical and non-profit association. APM Cluj is a Romanian cross-sectoral business association, representing the interests of over 1200 business owners and employers located the North-West region of Romania. The association has a tradition of over 130 years, being the oldest Romanian employers’ organization, and one of the most important organizations in the North-West Region, active in the field of enterprise development and professional qualification. In its recent history, APM Cluj has been active since 1990. The mission of APM is to support the business environment and most notably the development of SMEs as well as to stimulate entrepreneurship by seeking to create the most desirable environment for business and adding value through representation, knowledge and support. In the same time the Employers and Craftsmen Association provides to member companies, services that help create and maintain positive and productive employer and employee relationships, being an official representative for SME’s in social dialogue commissions as well as other tripartite bodies. The association also represents business owners in relation with national and regional government institutions, responding to local, regional and national government initiatives. In national issues APM works with allied associations throughout Romania to represent members’ interests to government and in other forums. Additionally, the association organizes economic missions and trade fairs participations, provides member companies with entrepreneurial and judicial consulting and assistance and is the editor of the oldest regional economic review in Transylvania. A main goal of APM Cluj is to promote industrial best practices and innovation and to assist SMEs in their transformation to competitive knowledge-driven companies, as a condition for ascending on the value-chain. As such, in the context of Romania’s integration into the EU, APM has set as a strategic goal to become a reference partner for Romanian companies interested in benefiting from the opportunities offered through the structural funds and the framework program for research and development. The association has developed a strong partnership network, joining efforts in several projects with reputed organisations, such as: Renault Consulting, Institut Français du Textile et de l’Habillement, Chambre de Commerce et d’ Industrie Paris, Fraunhofer-Gesellschaft zur Förderung der angewandten Forschung e. V, Groupement des Industries de la Region Choletaise, Athens Technology Centre, Hellenic Clothing Industry Association, Union des Industries Textiles, TexClubTec Italy, Next Technology Tecnotessile, Regional Development Agency North-West, City of Cluj-Napoca, Babes-Bolyai University Cluj, Raiffeisen Bank . As such the association has been participating in the last years to several national and international EU funded initiatives in the field of industrial research and human resource development. APM Cluj is affiliated to the largest Romanian employers organisation – the National Council of Small and Medium Sized Private Enterprises in Romania (CNIPMMR), a member of UEAPME (European Union of Craft and Small and Medium Enterprises) and of WASME ( World Association for Small and Medium Enterprises). The association also currently heads the Regional Federation of SMEs in the North -West region and participates in the executive board of the National Council of SMEs.